The Domain was founded at the beginning of the 20th century by Armand Rousseau who, at his majority, inherited several plots of vineyards in Gevrey Chambertin. Armand Rousseau was issued from a family of small landowners, who were mainly vine growers, coopers and local wine merchants. His wedding in 1909 allows him to increase the surface of his vineyards and at the same time to acquire the present Domain premises. Armand Rousseau first sells his wines in bulk to local wholesalers. Then very rapidly, he buys new vineyards such as CHARMES CHAMBERTIN in 1919, CLOS DE LA ROCHE and CHAMBERTIN in 1920 and 1921 and he decides to bottle himself his most prestigious wines and sell them directly to consumers, particularly to restaurants and connoisseurs, wisely advised by Raymond Baudoin, a great friend of his and the founder of the "Revue des Vins de France". As years go by, Armand Rousseau continues to enlarge his Domain with the purchase of more Grands Crus, classified as such in 1935 when the "Institut des Appellations d'Origine Contrôlée" was created, that is, MAZY CHAMBERTIN in 1937, MAZOYERES CHAMBERTIN (now appearing under the appellation of CHARMES CHAMBERTIN) in 1940, CHAMBERTIN in 1943 and 1956. The CLOS SAINT JACQUES is bought in 1954 in his son Charles's name who, after studying law and then oenology in Dijon University, joins his father in 1945. 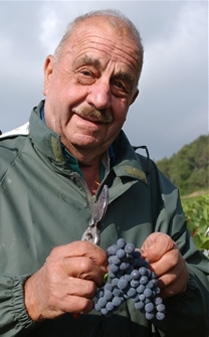 In 1959, after Armand Rousseau's death in a car accident on his way back from hunting, Charles Rousseau is at the head of a Domain of 6 ha which he will continue to develop rapidly thanks to his great knowledge in oenology, and his experience, by acquiring new vineyards, especially in "Grand Cru" areas. Speaking fluently English and German, he decides to turn principally towards export, and, after the USA where his father had already started to sell his wines right after the end of prohibition in the late 30's, he develops the exchanges first with Great-Britain, Germany, Switzerland, soon afterwards to all European countries, then to Canada, Australia, New-Zealand, Brazil, etc. and lastly Asia in the 1970’s. During all these years, while maintaining traditional modes of viticulture and vinification, Charles Rousseau acquires more modern and better performing equipments. At the beginning of the 1980's, two vaulted cellars are dug in order to increase the storing capacity necessary to the acquisition of the new vineyards. 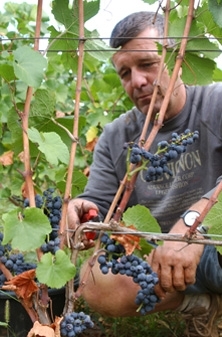 At the same time, his son Eric, after secondary studies in the Lycée Agricole et Viticole of Macon Davayé and one year specializing in Oenology in Dijon University, joins him to take care more especially of the vineyards and the vinification. From 1993 to 2005, Corinne, Charles's elder daughter, after many years of professional experience in export abroad and in France, comes back to the Domain, gets the same year a diploma in Oenology, and in her turn takes charge of the commercial relationship with customers. From 2006, Brigitte, the youngest daughter takes over the commercial part in partnership with Frédéric Robert, who also driving the tastings. New works are done during the summer of 1996 with the enlargement of the winery, already fully equipped with open stainless steel vats, to allow the use of an automatic "pigeage" system, and at the same time, a new cellar is built for the storage of the bottles. The winery has been renovated again in 2002 and 2004, with the addition of air-conditioning equipment necessary to vinify the grapes in the best conditions. The family Rousseau can praise themselves if you know that they currently own 13,70 hectares of vineyards in Gevrey Chambertin, of which 8 hectares of Cru's! With an average age of 40 to 45 years, the Pinot Noir vines deliver the ultimate of concentration and elegance. Unfortunately, this is, of course, to the detriment of the yield in favorable years which is estimated at 30 to 35 HL/hectare. This brings the annual production of 65,000 bottles, of which 80% is destined for export.